Dental implants are the ideal solution for replacing one, several or all your natural teeth. They are designed to look, feel and function like your own teeth. The majority of our patients receive dental implants and permanent teeth in a single day. In implantology, these are called “same day” implants, meaning that teeth are extracted and implants are placed in the jaw bone in one session, and the new permanent teeth are placed on the implants a few hours later. In some cases, the procedure may differ depending on the condition of your existing teeth, your bone mass, and other criteria, as well as the extent of treatment required. 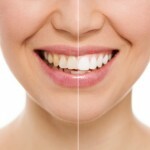 Imagine changing your smile and your entire look in just one day! Our implant placement differs significantly from conventional procedures, as we do not use flaps or sutures during implant placement. Instead, we use 3D software to create a dental splint for the location where the implants will be inserted. The unique combination of the implant and the minimally invasive technique has shown to dramatically reduce or eliminate post-operative pain, swelling and bruising often associated with dental implant placement. The field of cosmetic dentistry offers a number of different treatments to enhance your smile. A brighter, healthier smile will not only boost your confidence, but will also improve your overall physical and mental health. Dentistry is currently enjoying a renaissance with many exciting techniques and treatments that offer patients unrivalled choices about their oral health. The Art&Dent philosophy is all about offering these choices to you in a way that allows you to make informed decisions about your dental care, and our dentists are happy to help you make the right choices when it comes to your teeth. Your personal wellbeing and the fulfilment of your wishes is the most important concern for our team of dentists and dental professional. We will give you the time and all the information you need for your decision in terms of a treatment option that is right for you. Some patients also suffer from fear of the dentist a crippling phobia that prevents patients from getting the treatment they need, thus continuing to suffer from pain or lack of self confidence. Please let us know if you have this type of problem, and we will do our utmost to guide you through the process of dental treatment in a way that will help you overcome your fears.